Radio Frequency has been used for many years as a powerful diagnostic and treatment tool in procedures such as MRI, surgical diathermy, cardiological ablative interventions, and tumour or metastasis ablation. As an aesthetic treatment, it has matured over the past two decades, expanding the range of safe and effective non-surgical treatments available to practitioners. 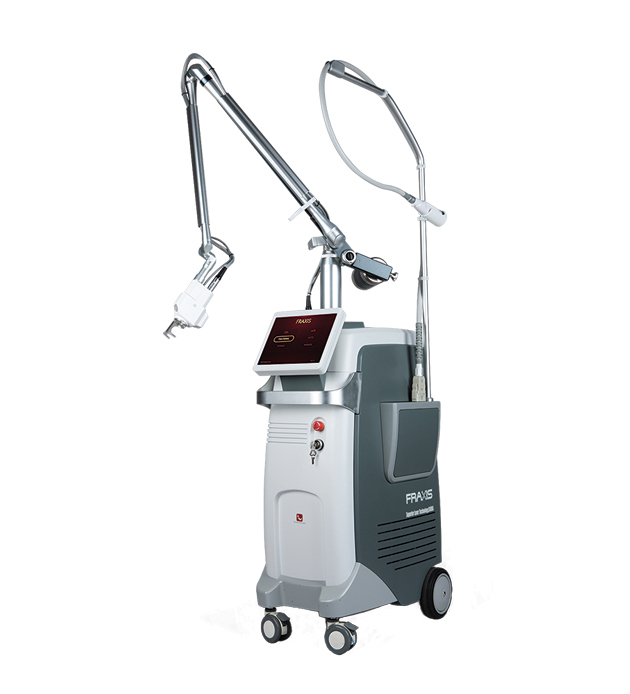 RF delivers heat to general areas of skin tissue, that is, a particular depth or area of tissue. 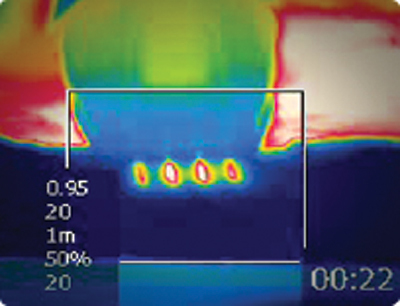 In contrast, a laser beam is targeted to a specific chromophore (colour-producing area of a molecule), so has a specific effect on that chromophore, leaving the surrounding tissue unheated. Deep RF treatment can stimulate collagen production and fat release simultaneously, helping to achieve a smoother, tighter skin surface. 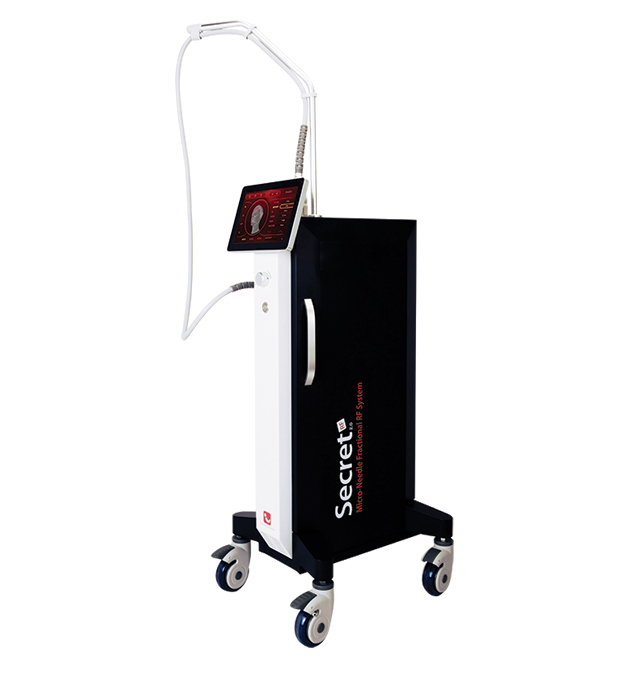 Deep RF treatment is capable of reaching the correct layer of skin or sub-dermal tissue to target the supporting connective tissue, deep subcutaneous fat and cellulite. This is the treatment that can produce genuine skin tightening and fat reduction. To be really effective, RF treatments must be sufficiently strong, and target the correct depth. This requires practitioners to select their devices with great care; many devices are ‘built to a price’ and fail to deliver treatment benefits. New generation multi-modality devices, such as Fraxis Duo, offer flexible options for treating a broad range of patient indications. Innovations offer a wider range of specific treatments for difficult-to-treat indications. 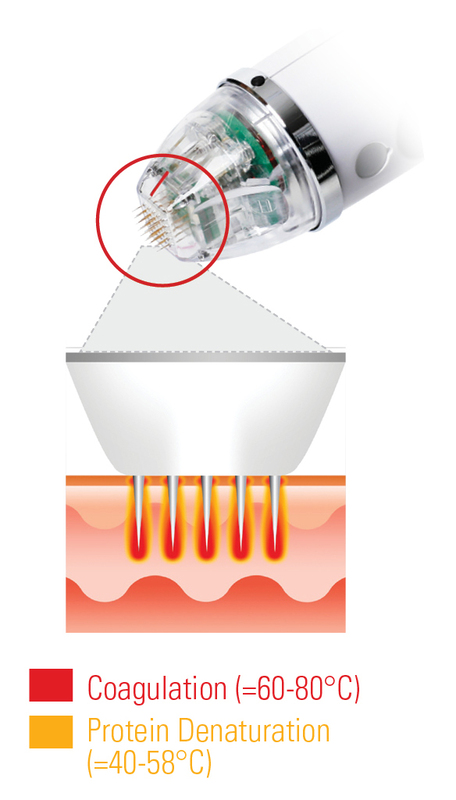 An example of this is Cryomed’s Micro-Needle Fractional RF device, Secret 3D, which uses proprietary SmartCure™, a patented smart electro pen that combines several thermo-coagulation techniques in a single electrolysis needle. It has various nokor needles designed to treat a wide range of conditions, from thread veins and wrinkles to ice-pick scars. 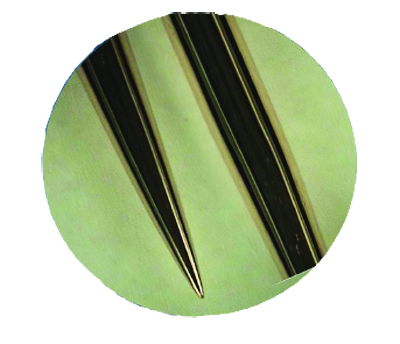 Precision engineering of the micro-needles is an important differentiator in determining the quality and precision of the pulse delivered, and the resultant minimisation of damage to surrounding tissue. Ongoing research indicates the critical importance of temperature and time duration in producing the optimal level of partial collagen denaturation. The quality of RF needles plays a major part in optimising treatment and minimising the risk of side-effects. RF heating stimulates long-term collagen remodelling, so progressive improvement will be seen over the course of several treatments. The best candidates are those with mild to moderate skin laxity in the face. Non-insulated needles offer significantly less trauma to the skin than insulated needles. Treatments can be customised to the individual’s specific physiology and lifestyle needs. We believe that Radio Frequency for skin rejuvenation, face and body contouring and skin lifting and tightening has a very strong future in aesthetic medicine. Devices are very sophisticated, and treatment results have become increasingly predictable. Clinical research indicates that radio frequency energy is particularly useful for skin and soft tissue contraction. As patients demand full non-surgical solutions for conditions such as unwanted fat deposits, radio frequency is playing an increasingly important role in skin tightening and firming. We believe this technology is a critical part of a complete skin, face and body firming and shaping service for every practice.